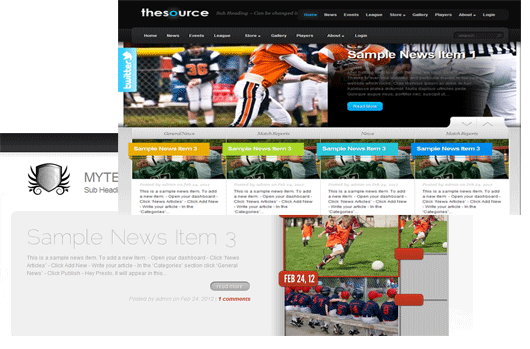 Professional Websites for Amateur Teams. Totally Free. Easy to Setup & Use. Create a professional impression of your club. Don't settle for a website that looks the same as everyone elses. 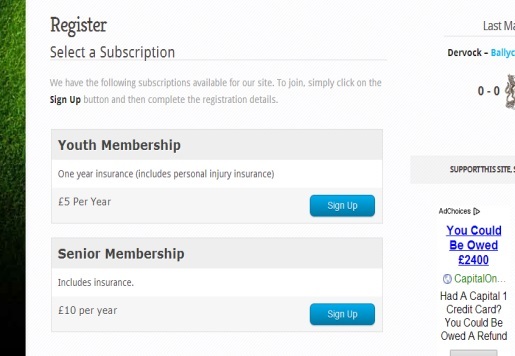 Recurring or one-off membership subscriptions. Coupons. Keep track of all signups. Club admins just want to focus on what's important. We give you a dashboard to manage your entire club's communications and save you time & stress. 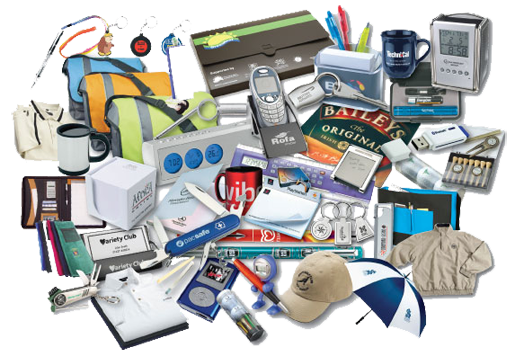 Sell your merchandise through your site. Real objects, or digital downloads. Shipping, coupons, unlimited product variations, and so so much more! Create a free website for your team in minutes. No credit card required. Your site is live instantly. teamthing helps you set up a free team website for your team, club or league. Manage your club fixtures and tables. Run events and manage your club calendar. Sell your club merchandise. Store files and keep photo galleries. Build member forums. Easily integrate with Facebook and Twitter. Choose your template from a selection of professionally designed templates. Your site comes with several pre-build pages e.g. store, events, news, league etc. Add as many extra custom pages as you wish. Easily integrate photo sliders to show off your photos. Create menus, sub menus etc. Add widgets to any page. E.g. add a league widget to show next/previous matches to any page. Integrate maps into any page by clicking a button. Yes, free! Free hosting, free setup, free features, free themes. We do add discrete adverts to the free sites or you can remove them completely with our 'pro' subscription. No Credit card needed to sign up. Lots of powerful free features. Full integration with social media such as Facebook and Twitter. Improve communication with your members. Integrate Twitter & Facebook widgets into your site. Auto post news to all sources with a click of a button. Harness the power of social media to stay in touch with your team. Create your free website in under 5 minutes. Create new pages & content in seconds. Soccer, football, hockey, rugby, basketball, bowling, cricket and many more sports supported. Friendly & down to earth support from people who know exactly what it's like running a sports team. Quickly find answers to your questions and problems. Do I need to supply credit card details? No. Sign up with no commitments. Leave anytime. Yes. We supply you with a free site that is ad-supported. We also offer a very competitive 'pro' subscription which removes all the ads plus extra features. Do I need special coding skills? No. Html skills are not required. If you can use a word processor (like Microsoft word) then you can set up and run a site. Not long at all. Once you have signed up your site is then live. We fill it with sample content to give you an idea of what is possible. It is then up to you to fill in the gaps. We give you a free domain name e.g. myteam.teamthing.com. However if you have your own domain name you can easily point your existing name to your teamthing.com site. 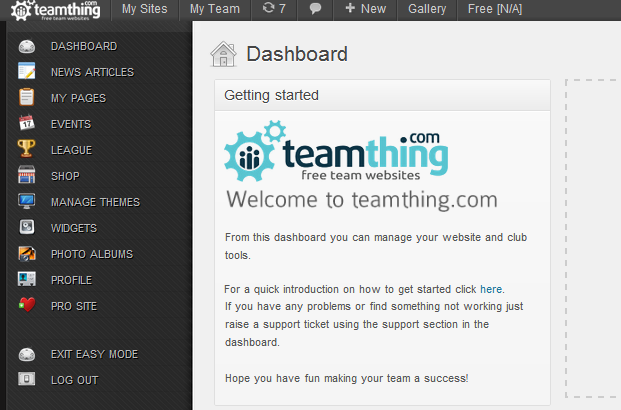 Or you can purchase your domain name right from within your teamthing dashboard. Does teamthing provide hosting and support? Yes. teamthing provides free unlimited hosting. There is no limit to the number of pages you create. Support, if required, is provided by email. We aim to answer all emails within 24 hours. Create Your Website Now. We Are Waiting To Help You Get Started.